Southampton is the largest city in England. And this particular city is classed as economically very active. Hence, if you are planning to set up your business in this particular city then it’s a great idea. This city is favorable for business expansion. To start a business in this area might be difficult. You may face various obstacles. Hence, it is better to handover your financial responsibilities to someone who is professional and have the experience. That person can handle all your legal services related to accounting and finance. So, in that case Miranda Management and Accountancy Services Limited can be the best possible solution for your problem. We at Miranda Management and Accountancy Services Limited have a team of chartered certified accountants, auditors and bookkeepers. Hence, you do not need to worry about your finance and accounts. Your finance and accounts are in safe hand. Basically, Miranda Management and Accountancy Services Limited is operating from London. We are having our head offices in Richmond and Uxbridge. Miranda Management and Accountancy Services Limited is one of the top accounting service providers in London based on people choice. Now, we are at Southampton, the largest city in England. We can proudly say that your love and your trust bring us to here at England. 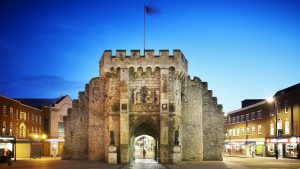 Now we are providing our services in Southampton. If you have any queries or doubts then you can directly call us. We are just a phone call away. Our executive will be there at your doorstep as per your convenient time. So, don’t hesitate to get in touch with us. We can assure you that your finances are in safe hand.